If you’re interested in finding a car that offers superior fuel efficiency (and who isn’t? ), you should take a look at the 2015 Honda Accord here at Fisher Honda. Visitors to our Honda dealership near Denver are thrilled with the dynamic styling, refined comfort, loads of advanced tech features, and affordable sticker price of this exceptional midsize sedan. When you add in the fact that 2015 Accord’s mpg is among the best in its class, it’s easy to see why this smart 4-door is so popular. You have the choice of two engines with Honda’s popular sedan—the standard 2.4L 4-cylinder engine, and the optional 3.5L V6. With either one you will receive excellent fuel economy figures that rival what you get with many smaller, so-called “economy” cars. We think you’ll agree, those are some pretty compelling numbers. Drivers from in and around Denver will definitely appreciate how efficient the Accord is, and how much it will save them at the pump, but how does Honda do it? Well, in addition to the superior engineering evident in their engines, they’ve included some innovative systems that help to significantly boost fuel economy. Earth Dreams Technology – A suite of integrated features, including Variable Timing Control and direct-injection, these improve combustion and help your Accord use fuel more efficiently. 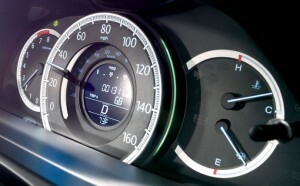 Eco Assist – These coaching bars around the speedometer display how efficiently you are driving, so you are always aware of your real-time fuel usage. ECON Button – This automatically adjusts vehicle systems that directly affect fuel consumption, to help you drive at maximum efficiency. Stop by our Denver area Honda showroom and let us fill you in on all of the details regarding the 2015 Honda Accord’s fuel-efficient performance today. 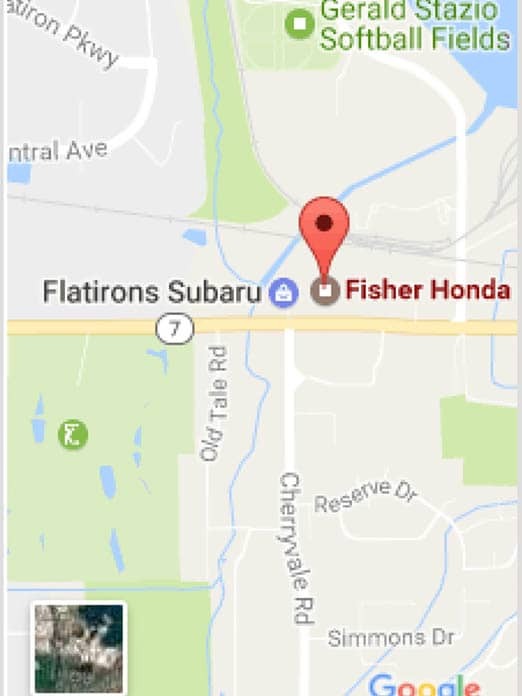 We are located at 6025 Arapahoe Road, just east of the Flatirons Golf Course, in Boulder, an easy 38 minute drive from Denver via US-36 W. Feel free to contact us for more information.